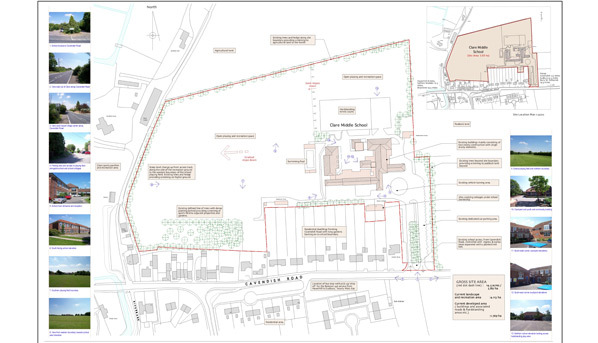 Working as part of the C.L.A.R.E (Clare & Local Area Rural Education) Group we have developed a conceptual Master Plan for the creation of a community-run secondary school in Clare, Suffolk. The C.L.A.R.E Group was set up initially by local parents in response to the planned closure of the existing middle school. The group has grown significantly and has received very wide support, including at ministerial level, for the proposal. 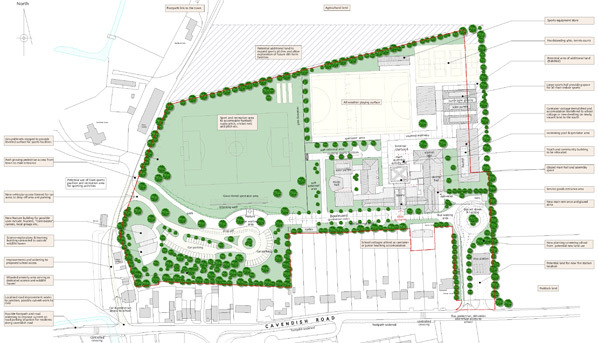 The role of J.A.P was to produce a concept that was fresh, exciting and that would create a centre of educational excellence including facilities for the wider community. 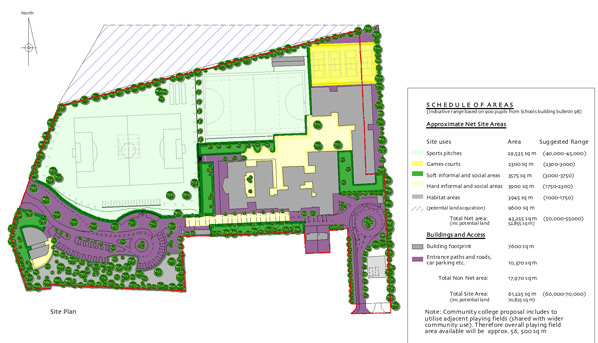 Under direction and guidance from the C.L.A.R.E Group our proposal centrered around a modern ‘facelift’ and significant extension of the existing middle school facilities with emphasis on sport and the sciences. 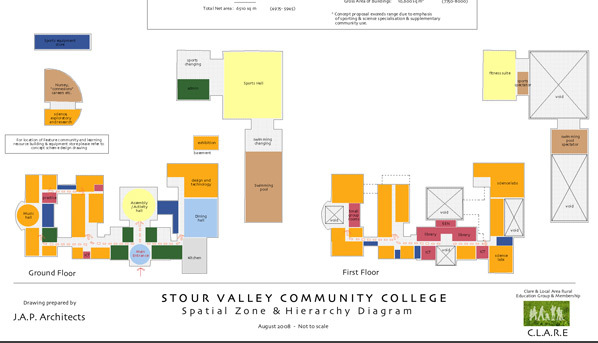 We have demonstrated how a first-class learning environment could physically be achieved on the existing school site through the implementation of modern buildings, sensitive landscaping and inclusive access.